York is a historic walled city located in the North East of England with various attractions with York Minster being the main one. 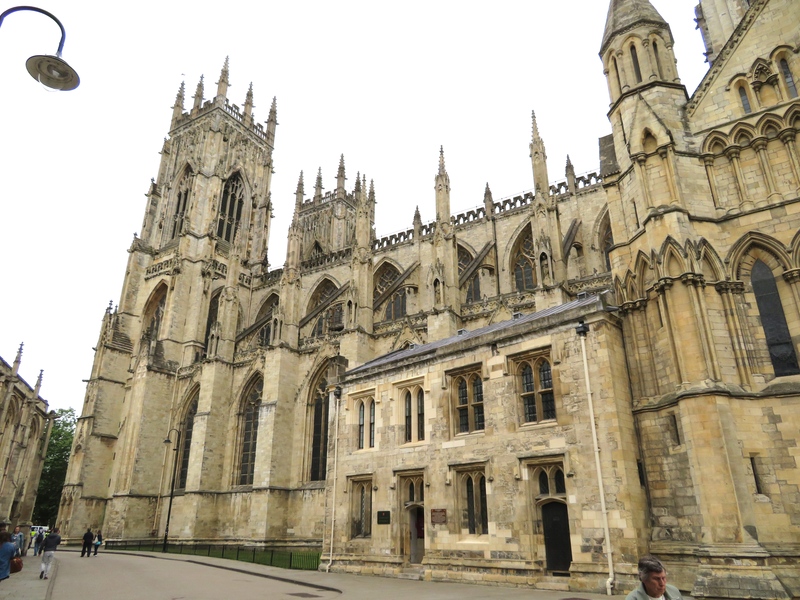 York is the perfect place to go for a day trip if you live nearby or to go for a city break. I went to York for an overnight trip where I stayed at The Principal Hotel which you can read about here: Principal Hotel Review. My trip to York was short which meant that I only did a small amount of exploring. York Minster is the well known name for the Cathedral and Metropolitical Church of Saint Peter in York. This cathedral is one of the largest of its kind in Northern Europe with it’s Gothic style. Near York Minster you will find St Mary’s Abbey which is a ruined Benedictine abbey as well as a Grade 1 listed building. Take a trip down an old street known as Shambles with over-hanging timber framed buildings which dates as far back as the fourteenth century. Shambles was once known as The Great Flesh Shambles which is suspected to come from the Anglo-Saxon Fleshammels which is what the shelves that the butchers used to display their meats is known as. A shrine to Saint Margaret Clitherow can be found along the Shambles, she was married to a butcher who owned and lived along the Shambles. This butcher is no longer there but instead you will find a cufflinks shop known as Cuffs & Co. Although you will not see any butchers along the street you will find that some of the shops still have meat hooks outside. Along the street you will find shops, eateries and a bakery. York is also a city which is easily accessible by train.